Following a comprehensive, three year, design and certification programme with Airbus, GKN Aerospace has qualified a new, 10% lighter, higher performance, main pilot (No 1) windshield for Airbus single aisle aircraft family (A318/A319/A320/A321). GKN Aerospace has achieved this 10% weight saving by manufacturing the window from chemically-toughened CE120™ glass, replacing the heavier, thermally-toughened glass of previous generations of the window. The company has also incorporated modifications to the detailed design of the windsheild that will extend its performance and simplify its manufacture. This new windshield will be fully interchangeable with existing windshields making it available to operators of all Airbus single aisle aircraft – over 6000 of which have been manufactured to date. In addition, by combining this new windshield with the company’s established No 2 and No 3 cockpit windows, GKN Aerospace can now offer, from a single source, the lightest complete cockpit window set on the market for single aisle aircraft. 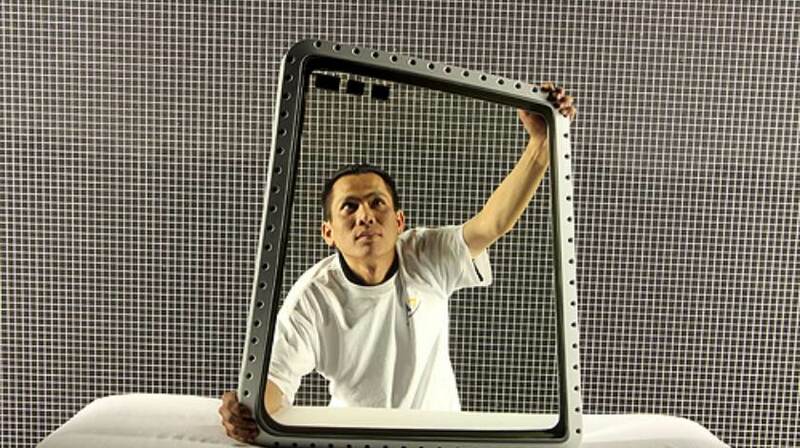 GKN Aerospace supplies transparencies for the cockpit and cabin of much of the Airbus family of aircraft and to most of the prime airframe manufacturers. The company is also a major supplier of complex, composite and metalic airframe and aero-engine structures to Airbus.